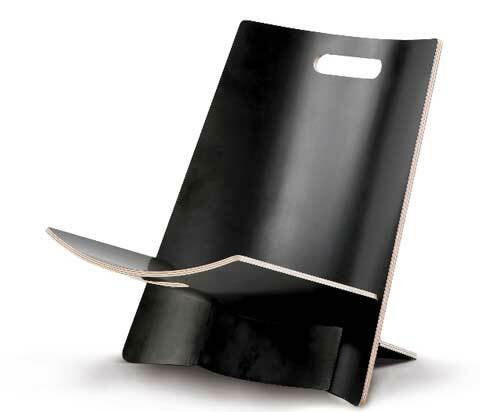 For me, the Lean chair by Skagerak is the ultimate in simplistic, modern design. This incredible chair is made in Denmark by one of the best and most innovative furniture manufacturers and designed by Hans Sandgren Jakobsen. 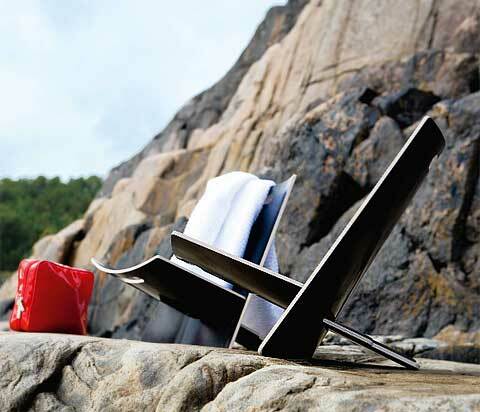 Once again, Danish manufacturing and design has come up with a new angle on a simple idea – the collapsible chair. 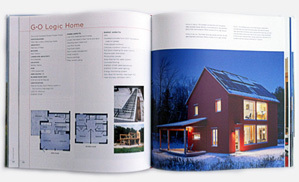 They have incorporated the basic functionality into a sleek design which remains practical and useful. The Lean Chair finished in Walnut is ideal for concerts, picnics, around the campfire or as a child’s TV chair. It is completely mobile, easy to carry and quick and simple to set up. The little hook under the seat serves as a lock when the chair is in use and with just a flick, the chair can be folded up for carrying. 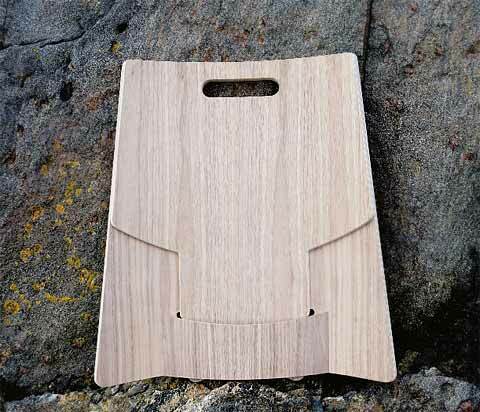 Molded Birch veneer with a Walnut finish is exceptionally strong and very attractive. The sleek, modern design is not at the expense of comfort and practicality and durable material is particularly suitable for outdoor use around the pool, on the deck or even on the beach. The same model is also available in black melamine finish.